Medical marijuana dispensaries will be given six more months to comply with the Los Angeles city ordinance, which is desirable since council keeps changing it. Our Los Angeles medical marijuana dispensary attorneys have filed numerous lawsuits against local governments throughout Southern California. We strongly believe that the best defense is an aggressive offense. Those dispensary that survive are likely to be the ones who fight for their rights instead of rolling under the misguided policies of amateur politicians. The L.A. Times reports dispensaries will be given six more months to comply with the ordinance. A December 4 deadline had loomed for compliance with the ordinance’s provisions, which include limitations on locations near school and parks and a controversial management provision, which required dispensaries be under the same management as when they applied for their initial permits. 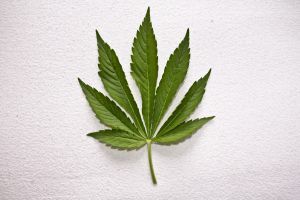 Council scrapped that ordinance, which by some estimates could add several hundred eligible dispensaries to the roughly 50 that may have remained eligible. More than 500 dispensaries were operating in the city when the ordinance passed this summer. In place of the management provision, council inserted a provision requiring at least one of the original owners still be involved with the business. As written, advocates said it would have disqualified some of the city’s most reputable dispensaries.